The humble shot tube is a brilliant alternative to rockets for those who do now want the debris but still enjoy the effects produced. 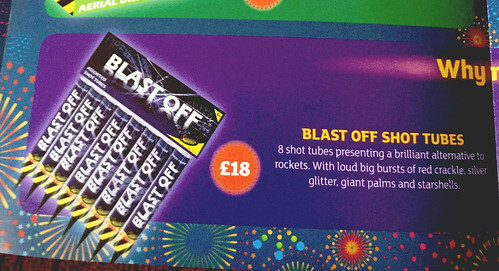 These Blast Off tubes were originally sold by Sainsbury’s at £18.00 per pack and here at Epic Fireworks we are committed to offering our customers the best possible prices so ours are just £7.98 a packet. The shot tubes include the effects of crackling palms, huge starbursts and sparkling stars. Excellent value for money and of course a must have for your 2018 Bonfire Night display.